Someone wrote me a couple of days ago and asked what I thought of the idea of Abe Lincoln being born in North Carolina. I for one would really like to see the DNA testing - just to settle the matter. The idea of a Tar Heel birth for Lincoln has received some recent media attention. Check here for an article at IndyStar.com However, the idea is not new. I recall, back when I was doing some research for the 37th NCT book, that there was something about Lincoln in a local history book, maybe a history of Rutherford County, published maybe back in 1930s. Sorry that I can not be more specific about where I saw the information. I thought it interesting at the time, but I made no notes. 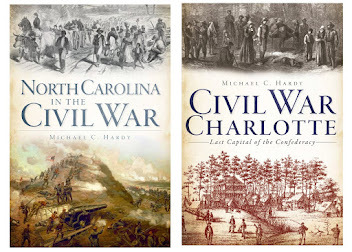 Drew at Civil War Books and Authors has a review of The Civil War Ends: Greensboro, April 1865. Check it out. I’ll be on my way to Wilson on Friday, and I plan to stop and get a copy of the book. Yesterday, I finished submitting the information and illustrations for the Civil War Trail markers in Avery County. I think we hit upon three: the Blalocks at Grandfather Mountain; the Banner House in Banner Elk; and, the Cranberry Iron mines in Cranberry. I could never get in touch with the right folks who owned the property for a marker about Col. Palmer (58th NCT), whose house was burnt during Kirk’s 1864 raid. Lastly, next week, I’ll be in Burlington on Tuesday night, and Albermarle on Thursday night, speaking and signing books. On Saturday, May 10, our local SCV Camp with be holding a service on the grounds of the Yancey County Court House at 9:00 am in the morning, and then a candlelight memorial service in the old Bakersville Cemetery in Mitchell County that evening. I have come to the conclusion that writing a regimental history is one of the hardest things to do. I’ve written one regimental history (37th NCT), and I’m working on a second (58th NCT). When one writes about a battle (which I’ve also done), one is able to be the master of that battle. A person can collect every scrap of information, can visit the battlefield, can tramp over every inch of ground. One is able (usually) to visualize what took place. When one writes about a regiment, one needs to be able to master not only that regiment, but all of the battles in which it fought. For the 37th NCT, that was over 30 plus engagements. No wonder it took six years of just writing! Yes, I visited all but one of those battlefields. (I did not visit Ox Hill. I have yet to visit Ox Hill). Have I visited every battlefield the 58th fought on? Not yet, but I’m working on it. Maybe that is why we have so few modern (say, since 1961) regimental histories. To do a good job requires a great deal of time and effort. Curiosity got the better of me this morning. 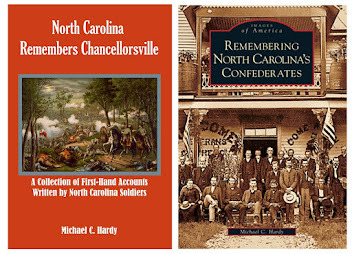 What was the first attempt at writing about a regiment from North Carolina after the war? It appears that Charles L. Jones wrote Historical Sketch: the following Historical Sketch of his company, regiment, and brigade, in 1874. This is a history of Company G, 55th North Carolina Troops. Jones was an officer in that company. I have never seen a copy of Jones’s work. According to WorldCat, the book is 55 pages long, and originally appeared in an issue of D. H. Hill’s Our Living and Our Dead. While there may be a copy in an issue of Our Living and Our Dead, there are only three independent copies in other institutions: two in California and one in Missouri. Jones’s book was followed in 1876 with W. H. Hall’s Historical Sketches of the Pee Dee Guards (Co. D, 23rd N. C. Regiment), and in 1883 with John A. Sloan’s Reminiscences of the Guilford Grays, Co. B, 27th N. C. Regiment. The last two I have, albeit the re-releases done in 1989 and 1978. I thought I would spend a little more time dealing with Charlotte’s war-time history. Historiography: To my knowledge, there has only been one work written since the end of the war. This was a work entitled: On the Home Front: Charlotte During the Civil War.. It was published in 1982 by the Mint Museum and only contains 20 pages. 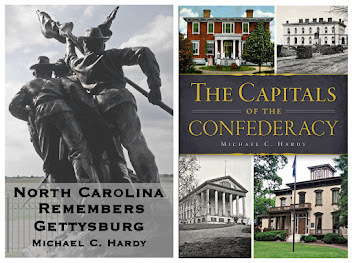 There have been other works that mention the war years, including John B. Alexander’s two works: The History of Mecklenburg County: From 1740 to 1900 (1902), and, Reminiscences of the Past Sixty Years (1908). Charlotte, and Mecklenburg County, contributed numerous men to the Confederate cause. Of our first regiment that went off to war, two of the companies, the "Hornet Nest Rifles" (B) and the "Charlotte Grays" (C) hailed from the County. Col. D. H. Hill lived in Charlotte, as did Lt. Col. Charles C. Lee, Lt. John H. Wyatt (Assistant Commissary of Subsistence) and T. B. Boyd, hospital steward. What about in Charlotte proper? The old US Mint building, now known as the Mint Museum, served both as a headquarters building and a hospital. There was also a Wayside hospital (near Morehead street) in Charlotte. Most of the Confederate dead in the Confederate section of Oakwood Cemetery were buried beside this hospital. Charles C. Lee, mentioned above, is buried in this cemetery (killed while leading the 37th NCT in battle), as is Rufus Barringer, and Thomas Drayton. Also in Charlotte was a manufacturing facility for the Confederate Navy. Charlotte was also the home of Julia Jackson, wife of Stonewall Jackson. During the last days of the war, Jefferson Davis held his last cabinet meeting in Charlotte, and was in Charlotte when he heard of the death of Lincoln. North Carolina only held the National Reunion for the United Confederate Veterans once: in 1929. This is a mystery to me. Other states held the national reunion multiple times. Tennessee held it at least ten times; Virginia, six; Alabama, six; Texas, five; Georgia, five; and Louisiana, four. Even Florida held it twice: once in Jacksonville in 1914, and in Tampa in 1927. Colorado held it once, in 1939, as did Washington, DC, in 1917. So why only once in North Carolina? With more men provided, more men killed, than any other state, what were the politics behind the reunion site committee? Most of the time, the cities in the running tried to put together the best possible package to attract the reunion to their city. While the reunions were a strain on the cities, they did provide large amounts of revenue. Notice how the mayor was there, the governor was there, and others not connected to the UCV came out to welcome the old soldiers and their guests. Also, what happened to the marker? Off to Durham this afternoon. I’m speaking this evening at the Bennett Place at 6:30 pm. After the parade, many participated in a "Memorial Hour", where the members of UCV, SCV, and CSMA gathered to pay "tribute... to departed comrades and members of the three organizations" Associate Justice Herriot Clarkson gave an address. General Goodwyn "gave a brief tribute to his departed comrades, and a silent prayer was held for Henry L. Wyatt, of North Carolina, first soldier killed in the war..." others also offered up small tributes. Other events highlighted the program. There were receptions, teas, garden parties, dances, and veteran ball. One observer wrote: "many [veterans who] seemed too feeble to walk any distance could shake a wicked foot when the music called for action." A special concern was held in Independence Park, "where a score of bands, under the direction of Capt. Taylor Branson, leader of the Marine Band, gave a joint concert, concluding with "Dixie: and the "Star-Spangled Banner..." A play depicting the rise and fall of the Confederacy was witnessed by "many thousands." Two comrades passed on while at the reunion. One was "General" Cortez A. Kitchen, Commander of the Missouri Division, UCV. The other was Maj. John Hancock of Austin, Texas. Finally, just after the reunion, a "reunion Marker" was dedicated. "An interesting occasion following the reunion was the dedication, on Friday afternoon, of a memorial marker at the new Auditorium which commemorates the holding of the thirty-ninth annual reunion in Charlotte. The marker as the gift of the Sons of Confederate Veterans, and Rev. Albert Sidney Johnston, SCV, presided over the exercises. The veil was drawn by Thomas Jonathan Jackson Preston, great grandson of Stonewall Jackson, and little Nancy Palmer Stitt, granddaughter of Capt. William Morrison Stitt. The official roster and records of the reunion were placed in the memorial. Dr. Own Moore gave the dedicatory address, and the exercises were closed with taps." This week’s past encounter with a gentleman who witnessed the 1929 national United Confederate Veterans reunion has prompted me dig a little deeper into the reunion itself. I went by the library today and copied several pages from Volume 37 of Confederate Veteran Magazine. There was an estimated attendance of 3,500 veterans at the reunion, with 20,000 more guests. The event started on Tuesday evening, June 4. The "Marine Band" [Corps?] played that evening, along with the "reunion chorus, made up of local men and women..." The veterans were welcomed by Mayor George E. Wilson, and Gov. O. Max Gardner. Gardner praised "this remnant of the bravest army of the America continent and the most patriotic citizens that ever dared venture their lives and all for principles they held dear." Mississippi senator Pat Harrison also welcomed the veterans and gave a talk on Jefferson Davis. Business began on Wednesday morning. Former Arkansas governor Charles H. Reid gave a short address, along with former mayor F. M. Reid, current Mayor Wilson, C. O. Kuester, of the Chamber of Commerce, Gen. W. A. Smith, commander of the North Carolina Division, Mrs. A. McD. Wilson, president of the Confederate Memorial Association, Mrs. W. C. N. Merchant, president of the United Daughters of the Confederacy, and Edmond R. Wiles, commander of the Sons of Confederate Veterans. A series of resolutions were passed that afternoon, including an effort to purchase Stratford, the boyhood home of Robert E. Lee. On Thursday afternoon, new officers were elected. The commander of the Trans-Mississippi Department, Richard A. Sneed, was elected commander-in-chief. The group then voted to hold their next reunion in Biloxi, Mississippi. "Passing through solid walls of humanity, perhaps the largest crowd ever assembled on the streets of Charlotte, the Confederate parade, climax of the thirty-ninth annual reunion of Confederate veterans, moved to the sound of enthusiastic cheers and wild applause on the morning of June 7, a line of march said to cover five miles, taking some two hours in passing a given point. Three wars were represented in the veteran soldiery taking part - the War between the States, the Spanish-American, and the World War - while the soldiers of the present were represented by the National Guard of North Carolina and other military units from schools and colleges - all making a grand array. The Boy Scouts were in line in great force, and made a great impression. There were miles of cars, loaded with veterans of the gray and their fair official ladies, a colorful note with flags and other decorations. In the lead was the Marine Band sounding patriotic airs, and many others were interspersed throughout the line, whose martial strains were heard above the cheers of the multitude of onlookers. There were Sons of Veterans, Daughters of the Confederacy, the Memorial Women, and members of local patriotic associations, all adding a note to the wonderful pageant moving through the streets of Charlotte, the like of which may never be seen again. "After leading the parade, the new and retiring Commanders in Chief, the governor of North Carolina, and other notables of the reunion, with their wives and official ladies, stood at attention in the reviewing stand as this pageant moved past, a wonderful spectacle, ‘showing,’ as Governor Gardner expressed it, ‘to us of the present generation the glory and greatness of the Old South in the veterans and the splendid future of the new in the Boy Scouts." "Of the veterans of the gray line, the Charlotte Observer said: ‘They did not feel the weight of the years nor the heat of the day; all their hearts were in the wave of emotion that swept over them and connected the memories of the past with the glorious reality of the day. The parade was more than a line of march; it was a pageant of the South, containing visible expressions of the best that the country has to offer. The bravest of the manhood of the South and the fairest of Southern womanhood were there, glamorous with the emotion that can come only from a deep feeling of patriotism and love." Last night’s talk went really well. There was a gentleman in the audience who remembered the 1929 United Confederate Veterans reunion in Charlotte. He recalled seeing the boy scouts getting the old veterans on and off te street cars. That was really neat. Not much time to post right now. I’ve played catch up all day. Now, I’ve got to get my stuff ready for the school program tomorrow morning. It’s been a while since I’ve done school programs. I need to be at Mitchell High School at 7:30 am - that’s a drag. 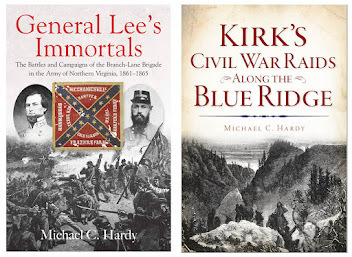 "There is no lack of Civil War biographies on our nation’s bookshelves celebrating those ‘larger than life’ actors of the great stage of the nation’s most traumatic, yet cathartic, event. 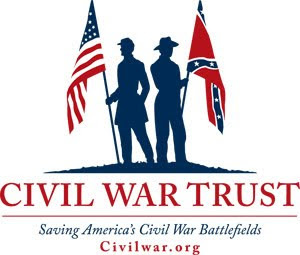 Perhaps historical accounts of the most famous Civil War heroes have reached the saturation point. Lee, Grant, and Jackson, for example, have been examined so thoroughly than one wonders if any more can be written to enlarge the places in history of these great commanders. "Historians are now moving down to the second echelon of Civil War figures..."
Fordney has presented to us the first biography on one of these "second echelon" figures: George Stoneman. Stoneman, of all figures during the Civil War, had a far-reaching influence. He was in Texas at the start of the war, and escaped when Twiggs surrendered the Federals in the state to Southern authorities. On May 24, 1861, Stoneman led a cavalry detachment across the Potomac River, capturing a bridge that led into Alexandria, Virginia, and later the town itself. He then joined the staff of McClellan, who was in command of the Department of Ohio, Illinois, and Indiana. He then followed McClellan to Washington, and was promoted brigadier general of Volunteers on August 13, 1861, and the following day, Chief of Cavalry of the Army of the Potomac. Stoneman went on to fight on the Peninsula, including a flight in Professor Lowe’s balloon. In September 1862, he was placed in command of the First Division, III Corps, an infantry assignment, with some cavalry elements. Stoneman chased Stuart that September, but failed to capture the Confederate cavalry. Stoneman was promoted to Major General of Volunteers at the end of November 1862, and commanded the entire III Corps. His Corps fought bravely at Fredericksburg, but they were not really under his command, his three divisions being used to support other Federal Corps. Finally, in February 1863, the cavalry of the Army of the Potomac was reorganized into a solid unit, and Stoneman was placed in command. He led a raid during the battle of Chancellorsville that was later criticized as being ineffectual. In May 1863, Stoneman went on a leave of absence (sickness) and in July 1863, was named Chief of the Cavalry Bureau. His stint in Washington ended in April 1864 when he took command of the cavalry in the Department of the Ohio. He later served in Georgia, and led a raid on Macon in late July 1864, resulting in Stoneman’s capture at Sunshine Church. Released in late 1864, Stoneman was placed second in command of Department of Ohio. Stoneman led a successful raid into southwestern Virginia in December 1864, destroying the lead mines in Wythville, and the Salt works in Saltville. 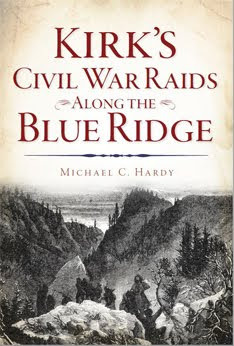 In March 1865, Stoneman led another raid, this one into western North Carolina. The Raid, the only large-scale military action in the western part of the state during the war, resulted in numerous skirmishes with the home guard and state forces. Stoneman captured numerous local men, destroyed state and government property, but failed to release the Federal prisoners at Salisbury. They had already been moved prior to the raid. 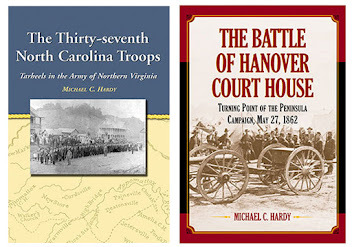 Fordney’s book covers much more than Stoneman’s activities during the war. The author looks at Stoneman’s early life in New York, his admission to West Point, his service with the Mormon battalion, and in Texas. After the war, Stoneman continued serving in the army, being named commander of the Department of Tennessee during reconstruction. Stoneman then served in Virginia, and later in Arizona and California. He retired from the army in 1871. Stoneman served as governor of California, and died in New York in April 1894. Fordney’s biography of Stoneman is well written, with the usual notes in a clear prose. I do wish there had been more maps detailing the movement of Stoneman’s men during their battles, like Fredericksburg. There are plenty of photographs of Stoneman and his cohorts. I did notice that Fordney writes on page 48: "As Stoneman recuperated from the Peninsula campaign, he courted Mary Oliver Hardisty... The two were married... on November 22, 1861..." Well, if they were married on November 22, 1861, Stoneman was not recovering from the Peninsula campaign, the latter having been fought May through July 1862. It is not easy writing a biography on a person whose personal letters and papers have not survived. Stoneman’s papers were lost twice: once in a train accident, and the second time in a house fire in California. Fordney has a done a masterful job weaving together from a variety of sources the life of Stoneman. It is unlikely that a better biography could be written. Events, happenings, and 58th NCT update. As I posted yesterday, I finished the draft of chapter 9 last week.The Atlanta campaign comes next and I'm reading about Resaca right now. But, I am kind of at a standstill. There is a new collection at ASU, the Bernhardt-Harper papers. This collection has been microfilmed and appears to have letters that Major Harper of the 58th NCT wrote home and which are not in the Harper collection at Chapel Hill. However, the collection is not yet open to the public and the archivist does not expect it to be opened until this fall. So, I'm in a quandary. On other fronts, I've started an article on the February 1864 battle of Dalton. We'll see where that goes. I've also started working on a new Arcadia book, this one about Mitchell County, North Carolina. I'm the author of three of their Images of America series. There were a lot of men in the 58th NCT from Mitchell County. Maybe I can get some more resources. Next week, Im speaking in Charlotte on Tuesday night, and Marion on Thursday night. I'm also lined up to do a school program at Mitchell County High School Thursday morning. Two new programs have come along recently. One is in Raleigh on May17. I'll post more on this as we get closer. The second is at the Sons of Confederate Veterans National Meeting, which is in North Carolina this year in July. The title of my program is "First, Foremost, and Last: The North Carolina Soldier in Battle." This should be a lot of fun. Well, I guess that is about all for now. Time to go and drag out the lawn mower for the first time this year. I am closing the Dalton entries for the present, unless something more interesting comes along. I had thought about turning this into an article, something along the lines of Joseph E. Johnston and the Army of Tennessee executions. That's only a working title. We'll see where it goes. Well, I am in a dilemma. I’ll lay out my facts. According to an article, dated May 5, 1864, found in the Daily Constitutionalist, there were twenty-one men from the Army of Tennessee scheduled for execution. Fact # 2: In a book, entitled Battles and Sketches of the Army of Tennessee, there is a description, a good detailed description, of the execution of "fifteen deserters from the army – two from Stewart’s division, eighth from Stevenson’s and five from other commands..." The author goes on, describing how "a detail from the provost guard marched to General Stewart’s headquarters, stacked their arms and left." These were the executioners. Staff officers loaded the stacked weapons, some with live rounds, some with blanks. When the detail returned, they did not know who had loaded weapons and who did not. Fact # 3: Writing in his 1996 thesis on desertion and the 60th NCT, James Taylor states that the "executions were carried out by Lieutenant Robert C. Clayton of Company K, 60th North Carolina." There are a couple of other sources, but none mention who was doing the execution. Was Lt. Clayton the provost officer for the day, and was it his company that did the firing? I do have in my notes that the 58th NCT, and probably the 60th NCT, served as provost guards in Dalton from January 22 to February 22, when they left to fight in the battle around Dalton. One member of the 58th NCT writes later that after the battle, they returned to their previous position. But, I’ve got no mention that they returned to provost after that. So what do you think, based upon the above? I’ve been able to identify thirteen men from the 58th North Carolina who were court martialed and ordered to be executed for desertion on May 4, 1864. Those thirteen were as follows: Jacob Austin (Co. E); Alford Ball (Co. G); William R. Byers (Co. G); Reuben Dellinger (Co. A); Asa Dover (Co. F); Joseph Gibbs (Co. C); Jesse Hase (Co. A); Wright Hutchings (Co. F); George McFall (Co. K); Gordon Morrow (Co. H); Michael Ward (Co. D); Hiram Youngblood (Co. F); E. H. Younts (Co. H). Of the thirteen, George Morrow was pardoned the day before the execution. William Byers’s fate is not exactly known, only that he died prior to September 1, 1864. The same is true for Dellinger and Hase. It is not clear that they were executed. Family history states that Dellinger died during the war. 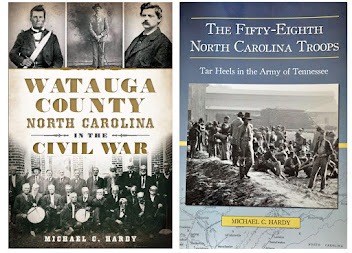 The 58th NCT came from the counties of Ashe, Watauga, Mitchell, Yancey, Caldwell, and McDowell, with smaller groups of men from Wilkes, Yadkin, and Iredell Counties. Of the nine who were executed, one (Austin) appears to be from Union County; two were from Rutherford County (Hutchings and Youngblood, along with Byers); and one was from York County, South Carolina (Dover). Younts’s record simply states that he enlisted in Athens, Georgia. Hase’s record states that he enlisted in Hamilton or Greene County, Tennessee. About half of the condemned men had joined the regiment recently. Austin - December 25, 1863; Byers - October 25, 1863; Dover - August 20, 1863; Hase - October 20, 186; Hutchings - October 6, 1863; Youngblood - August 14, 1863; and, Younts - December 16, 1863. Morrow, who hailed from Caldwell County, had been in the service since May 15, 1862, joining Company I, 26th NCT, then joining Vance’s Legion on May 23, 1862. Each of them had deserted just once, save Ball, who was a sergeant, and Ward, a private. They both deserted twice. Gibbs was the youngest - 19 or 20. Hutchings was the oldest - 44 or 45. Dellinger joined what would become the 58th North carolina Troops in late 1861. He transferred to the 5th Battalion, North Carolina in June 1862, went awol, then rejoined the 58th NCT. He deserted from the 58th NCT on August 20, 1863. As of today, I only know that Ward, Hase, Gibbs, and maybe Byers had children. There were probably two others executed that day. Christopher Ledford (Company C) and James M Randal (Company A), 60th North Carolina Troops.